Ruben Tejada has more errors than hits this spring, but manager Terry Collins gave him a vote of confidence on Thursday. 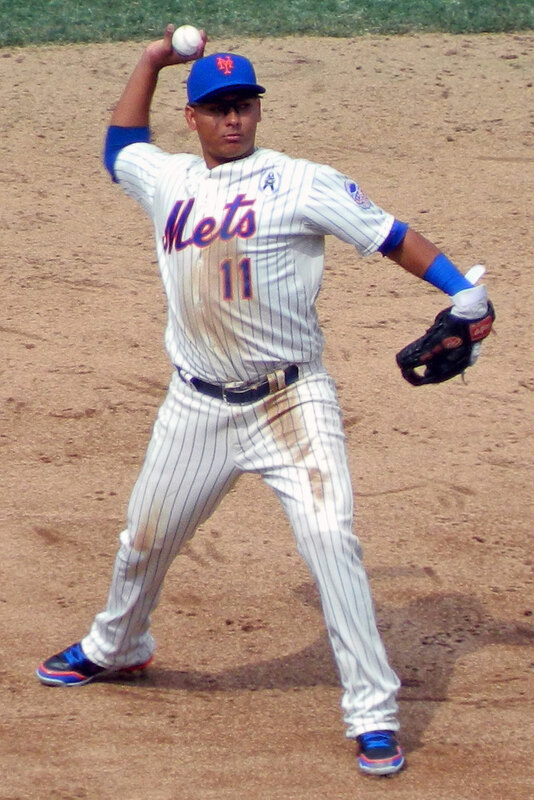 It’s nice that somebody is showing a little faith in Tejada, no matter how misguided it might turn out to be. After all, there’s really no one else in camp now that can play shortstop every day at the major league level. With about two and a half weeks to go until Opening Day, it looks like the Mets will start the season with a shortstop who inspires little confidence in team officials or fans. If Sandy Alderson and Fred Wilpon really believe the Mets should win 90 games, it’s time to find the money to pay Stephen Drew or make a trade for another shortstop who is better than Tejada. If that was just talk, then it’s time for some different thinking in other roster competitions. Daisuke Matsuzaka finished the season strong last year and is having a good spring, but he’s 33 years old and his best days are behind him. He should not force Jenrry Mejia to the bullpen or the minor leagues unless the Mets’ front office is committed to fielding the best possible roster to win in 2014 and they believe Matsuzaka’s veteran presence helps them achieve that goal. I don’t even want to think about the first base competition. With non-roster invitee Brandon Allen joining Ike Davis and Lucas Duda on the injury report, the Opening Day start might just go to the last player standing. The Mets are simply holding on to too many mediocre (or worse) players for way too long. Sandy should have been a lot more active this past off-season. Nice to see that they spent some money, but several of the most obvious holes we ended last season with have not come close to being filled. No excuse for that, other than a lack of imagination. Sandy may just be getting too old to be an effective G.M. anymore.